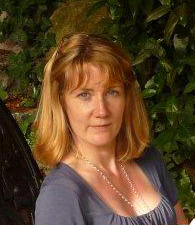 I am an Irish writer and healer based in West Cork and in the UK. I have always had a foot in two camps. For ten years I worked as a PR and Marketing consultant in the corporate world, mainly in the UK. As a child I was always able to tune in to my ability to sense energy and its effects in both people and animals. Outside of work, to stay in touch with that part of myself, I trained in Energy Healing, Reiki and practiced meditation. Because my career was busy and a high stress occupation I spent a long time striving for a work-life balance and trying to find a meeting place between my work and the more ‘alternative’ interests I followed outside of work. For most of my career, work and stress won. Then it hit me that it didn’t have to be like that. Life doesn’t have to be a constant trade off or a constant battle between head and heart. Any process of change takes courage, determination and trust but it has worked for me. So now I do the things I enjoy! I write, run seminars, and mentor individual and business clients – all things I really wanted to do! The healing approach I now use came from my dual passions for physics and the potential of the human being. I trained in two methods of BioEnergy healing, both complement each other, and depending on the clients needs I may use one or the other or both. I went on to train with Byron Katie as I believe that her method of eliminating stressful and negative thinking called The Work is unbeatable in its effect and its ability to stop unquestioned thoughts in their tracks. It is just a part of what I do but in my work with people and with myself I have seen that there can never be progress until the mind is free of fear and limitation, so I use the work to bring people to that point. I also trained with Sonia Choquette to develop my intuitive side as she is a living bubble of joy and a great example to anyone who wants to truly experience joyful and free spirited living successfully. I was fortunate to have been taught the techniques of Self-Knowledge by Prem Rawat Maharaji when I was a young adult. The inner grounding and the continual inner development that Knowledge brings has opened my mind and my heart to so much and has helped me to keep the clarity needed to live in the world successfully and without fear. Finally all my studies of the worlds of quantum physics and related areas are a continual reminder to me that the world we think we see is so much more magical and mysterious than we can imagine. Physics for me is now beginning to verify all that we knew instinctively in healing and intuition and has been the final piece that for me completes my understanding of how and why healing works. Skills: 10 years working in Corporate PR and Marketing in the UK and In Ireland. Masters Degree in English, Trained in Life Skills Coaching, Reiki, Colour Healing, Body Harmonics BioEnergy Healing, The Domancic Method of BioEnergy, The Work of Byron Katie and as a Sonia Choquette Six Sensory Practitioner. Publishing: Inspirational book Dance with Life (2004). Co-wrote Angel Prayers and Messages (2006) with Rosie Ismail. Edited West Magazine (2003) Numerous business publications, including a chapter in London as an International Business Centre (Kogan Page) Currently working on a series of children’s books and on a Healing Book on the use of the Solfeggio. Congratulations! I have just awarded you with Versatile and Beautiful blog awards!